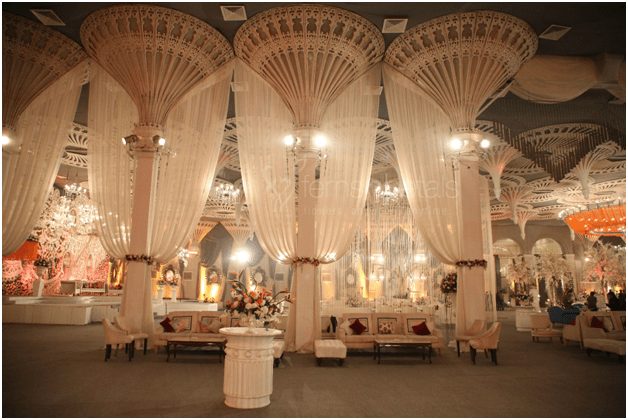 Over the years Indian weddings have become more lavish and people have started organizing the wedding in a luxurious way. A successful wedding event requires much planning and now wedding planners in India are easily found whose sole aim is to implement the ideas conceptualized for decoration, food, and hospitality. Initially friends and relatives were enough to organize a wedding occasion, but with the insurgence of planners, the wedding management is given the status of an industry. 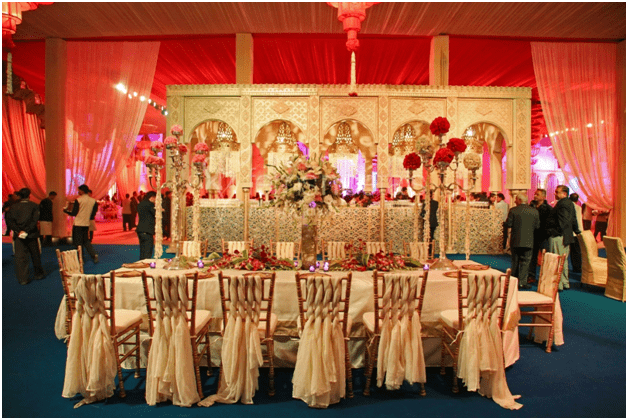 Statistical reports say that Rs 100,000 crore is the income of Indian weddings, which is increasing by 25-30% every year. The middle class to upper middle class people are willing to spend anything between 5 Lakh to 5 Crore on marriages. We are not only rich in terms of culture and tradition, but in terms of money also and that is quite evident with the good amount of currency notes that is spent on weddings. From tent to flowers, from cosmetics to gold jewelry, and from garments to gifts – these Indian weddings is a great treat for the onlookers. One of the main reasons for looking for wedding venues outside home is definitely the emergence of the nuclear family. Nuclear family means a small number of people and thus there is bound to be a lack of space to accommodate large number of guests. Therefore, people always prefer to have the wedding and all other rituals and customs somewhere away from home to some resort or villa. Another reason is of course the dream that one sees with open eyes for their marriage. A person’s one fifth of whole life’s income is generally spent in a wedding. This is a type of industry that can never ever go weak because people would still get married. And wedding as an industry is also dependent on matrimonial website, beauty clinic, travel and tourism bodies, and event management groups. With a combined effort of all these together, the final wedding is organized. One of the best highlights of the weddings in India is the venue and food. People will never forget these two. Because taking time out from the daily routine people come to attend a wedding and therefore the level of comfort is necessary. The venue can be made brighter by the best wedding organisers in the town. Not only the venue selection and decoration, the organizers also look after the food and drinks segment. The food can be creatively displayed as per the theme of the wedding. For example, if the theme is royal, then the crockery used has to be like the silver or gold colored ones used by the royal families. Apart from food, another interesting area of weddings is the garments of people. All over a wedding, you would hear stories of how she got this dress. Such small stories make up Indian wedding an enjoyable experience.